As one of the biggest manufacturers on the market, Nokia snatches any opportunity of showing us that there is always a chance something to be thought up in an impressive and outstanding way. 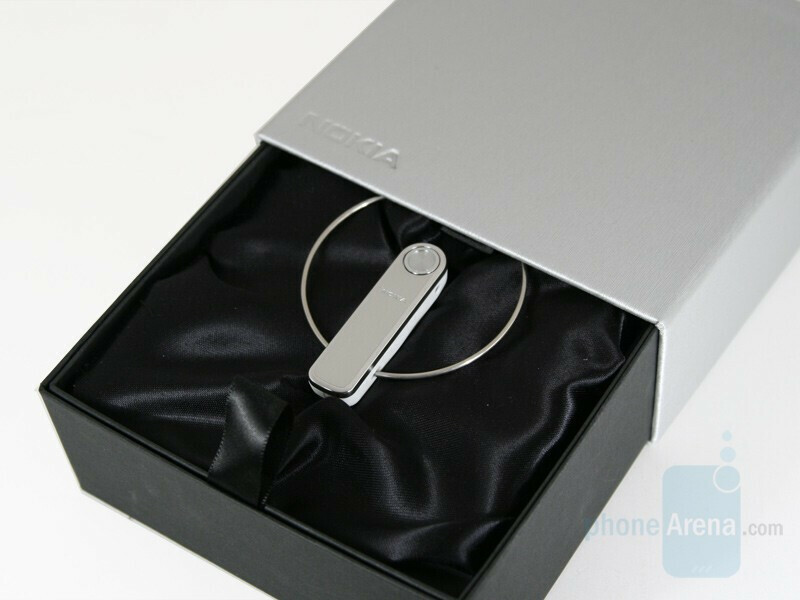 The company backs this with its Nokia Bluetooth Headset BH-701 - Uniquely practical as they call it. 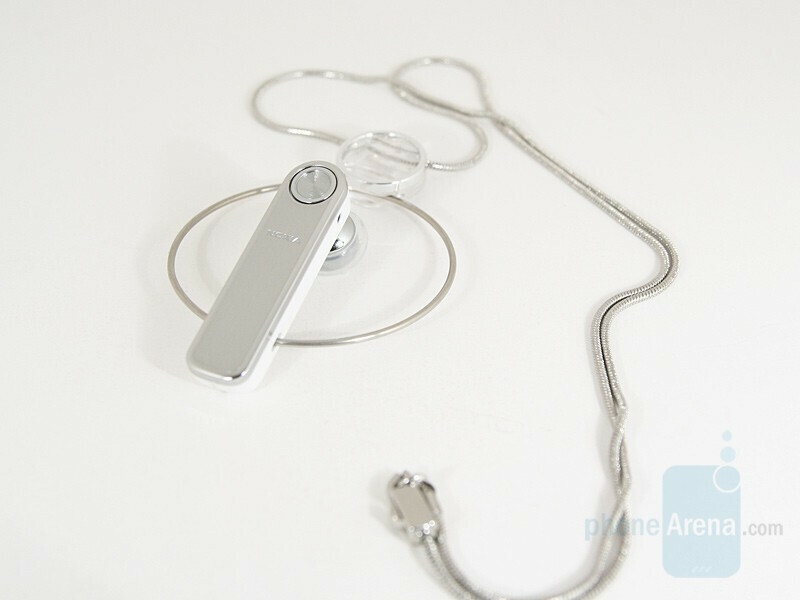 The headset has a completely different way of attaching by ear-loop, which makes it look as much modern accessories as a bluetooth ear-piece. The combination of this and the beautiful and delicate chain in the sales package, shows that it is designed mainly for the ladies. Unique outward appearance in combination with elegant style – that is, in short, how we would describe this device. * The sales package we tested contained BH-701,USB charger CA-100 and User guide. 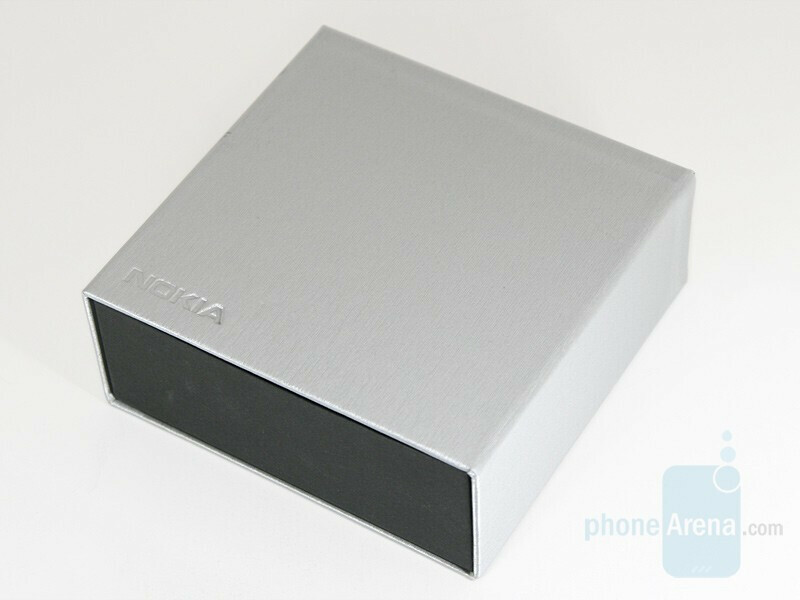 BH-701 comes in a small silver-black deluxe package and if it was not the brand Nokia on it, we would easily mistake it for a piece of jewelry. The moment you start opening the box, you notice the accent on luxury and aesthetic beauty. By removing the silvery cover of the box you can see it is on levels. The device is on the top and beneath it the chain, the charger and the rest of the things of the delivery package. Made of white and silvery plastic and stainless steel ear loop – the headset clearly stands out against the background of the black fabric where it is placed.